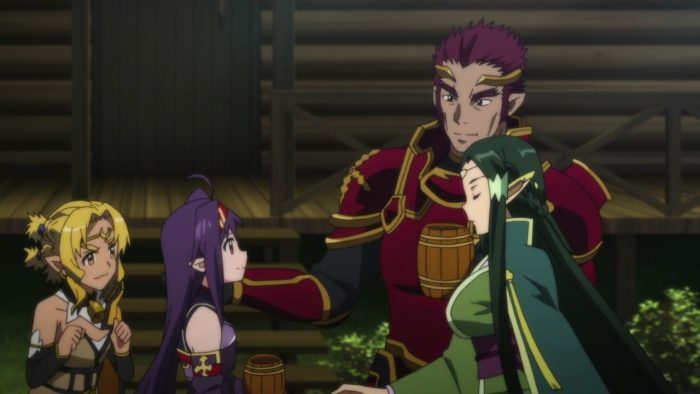 Asuna introduces Yuuki to everyone she knows in ALO. Soon, Sleeping Knights guild make a lot of new friends and had a lot of in-game fun they probably never had before. 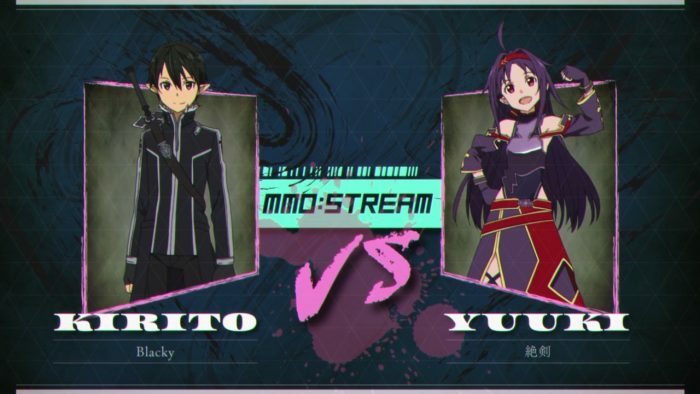 Together with Kirito and our other heroes, they defeat another game boss together. 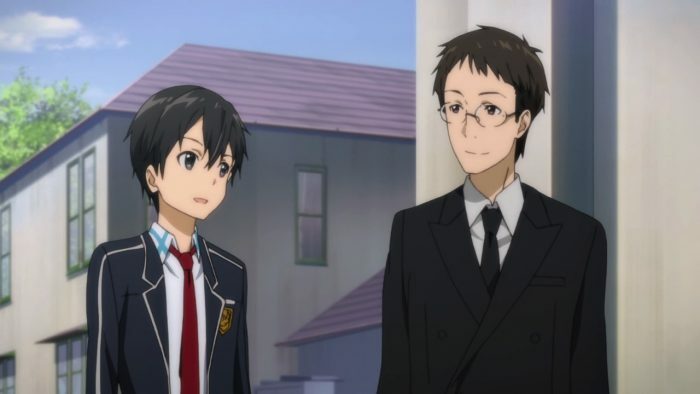 Thanks to that camera device, Yuuki attends school with Asuna, meet other players in real life too. 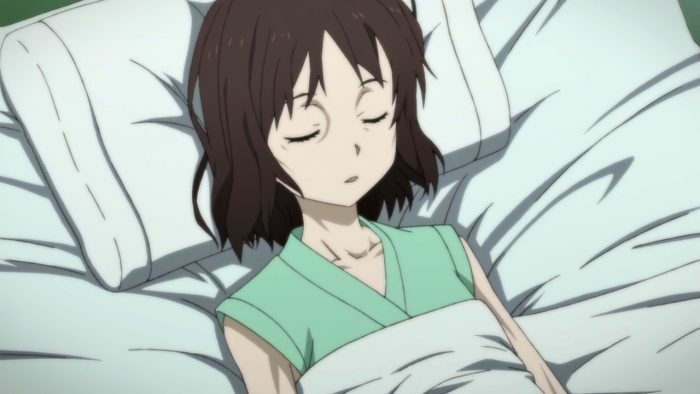 Then, suddenly Asuna receives a text that Yuuki’s condition in hospital is getting worse, and she might die anytime soon. 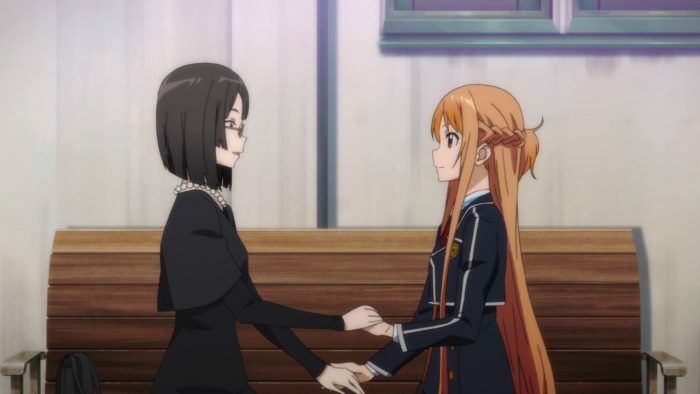 Asuna rushes to the hospital and asks her doctor to allow Yuuki to have her last moment in ALO. 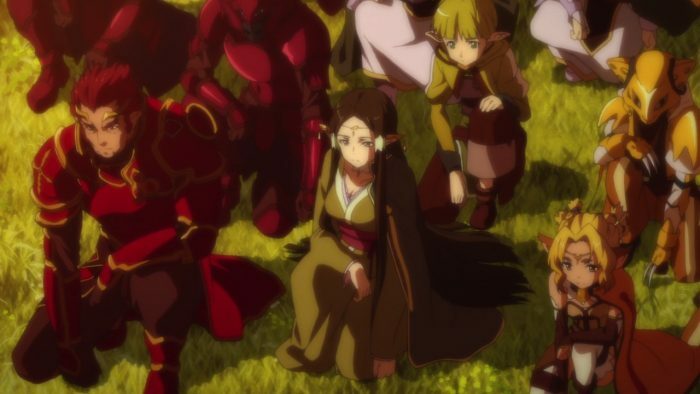 So, here we have Asuna coming to Yuuki’s favorite spot in ALO. The island with a tree where she defeated countless challengers. 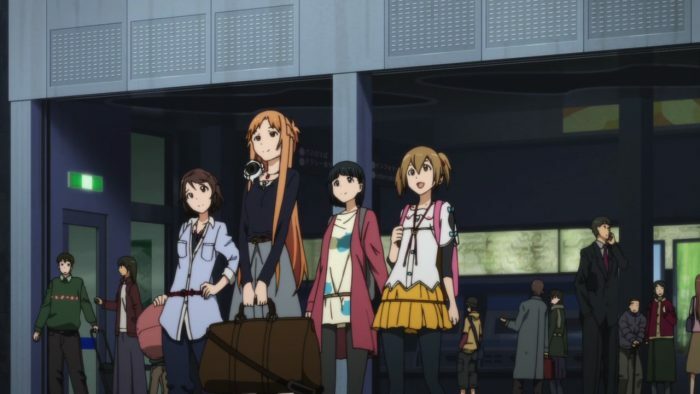 Also the place where she first met Asuna. 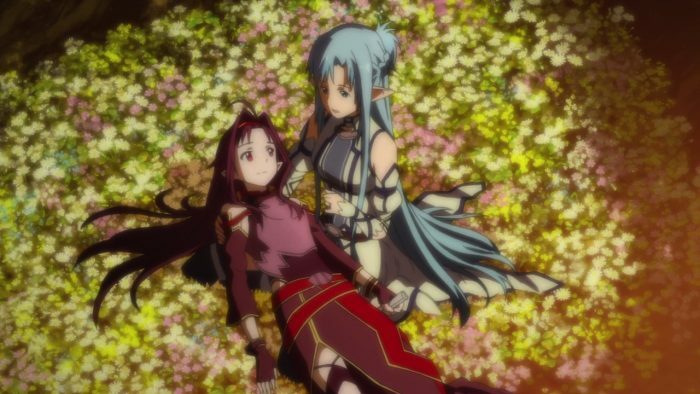 Yuuki fulfils her promise to Asuna to give her the great original sword skill, then she collapses after doing her skill one last time. 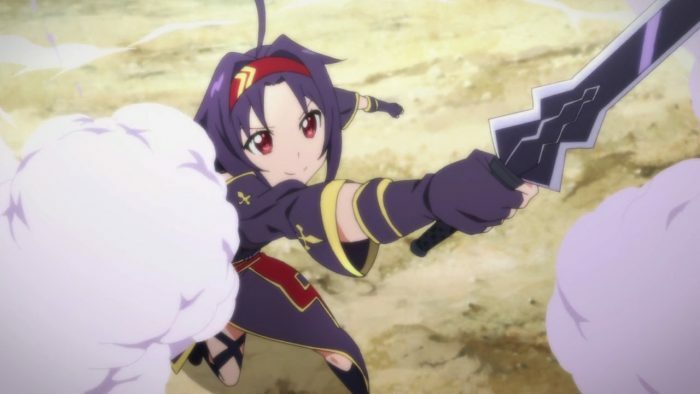 Yuuki creates a scroll of her original skill. She gives it a name: Mother’s Rosary. 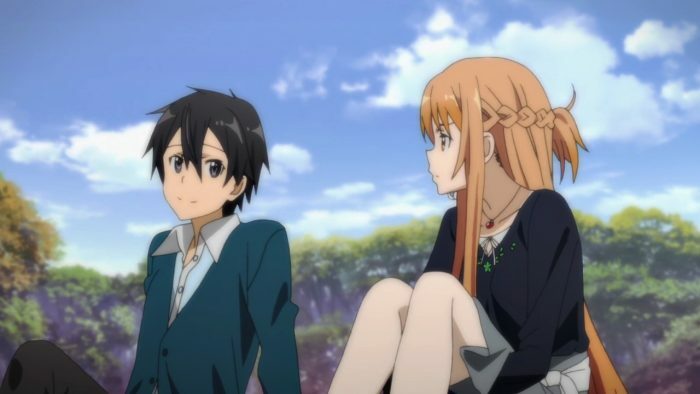 Then she gives the skill to Asuna. 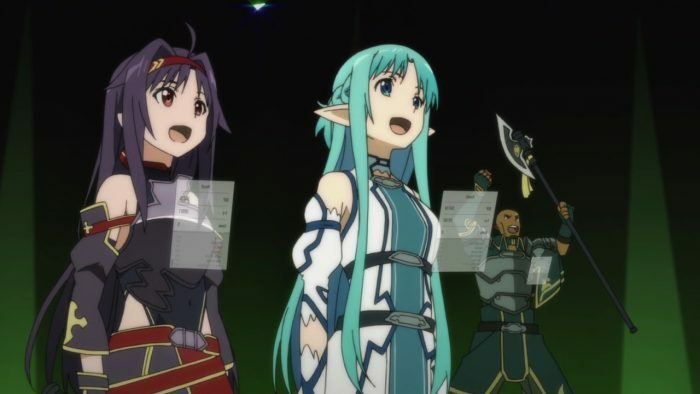 Asuna fully realises that Yuuki doesn’t have enough time left. So she prepares one last gift for Yuuki. 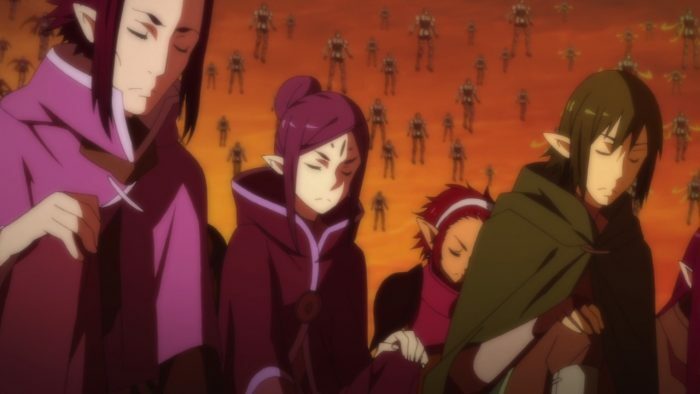 First, all other members of Sleeping Knights arrive and say their final farewell. 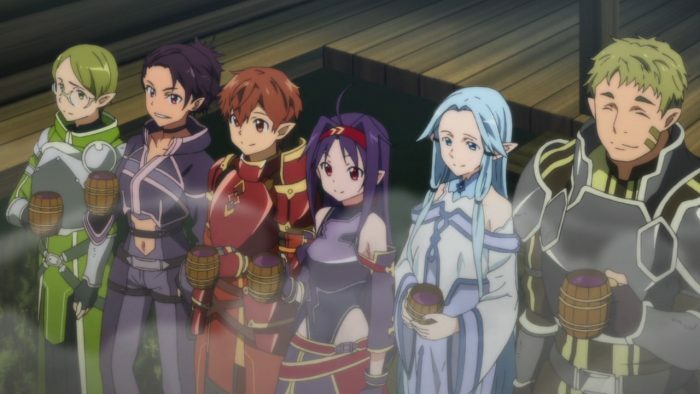 Next we have Kirito, Klein, Leafa, Silica, Lisbeth and Sinon. Up to this point I feel everything is somewhat to be expected. Now the next scene is a big surprise for me. 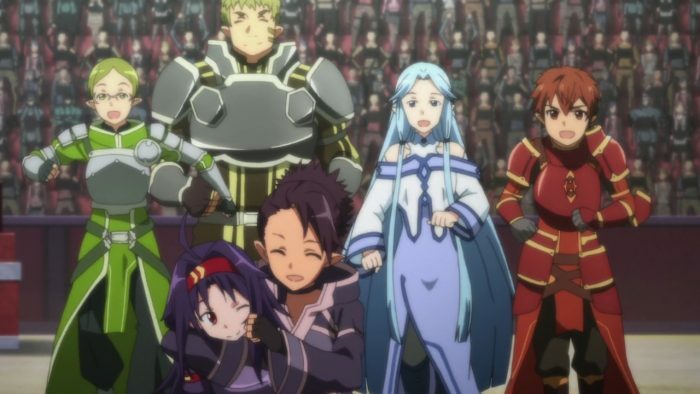 Every single ALO character we saw during two seasons of SAO is there. 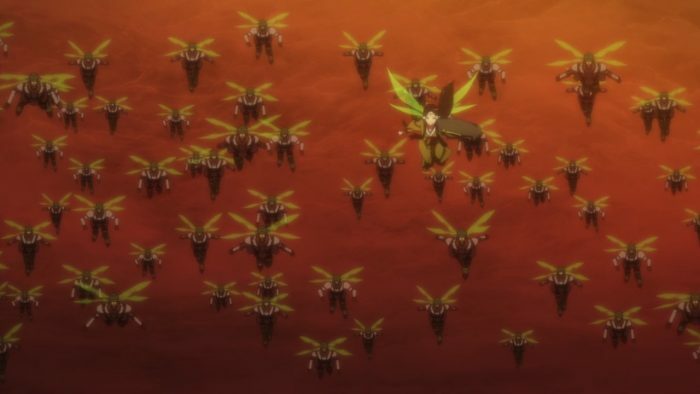 Sakuya and her Sylph army, plus Alicia and many Cait Sith players, plus general Eugene with his forces, plus many more, all of them forms an unforgettable scene in the sky. 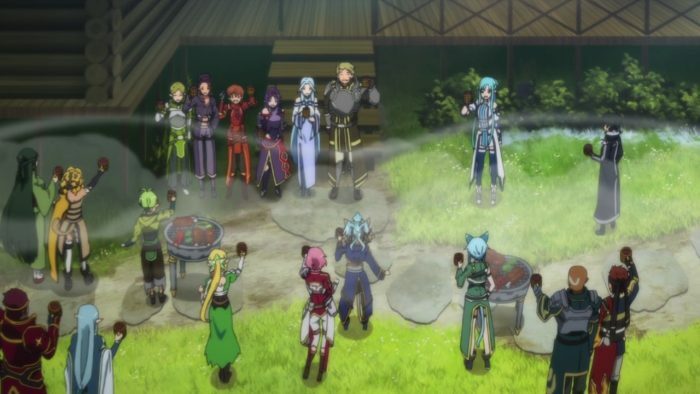 Everyone comes to honour the departure of the strongest swordsman in ALO. 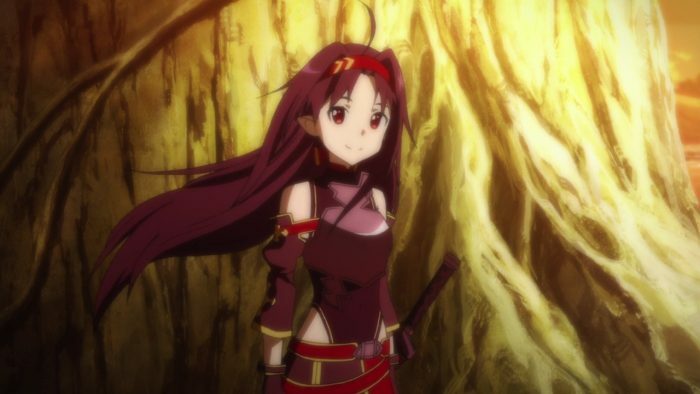 Yes, Yuuki IS indeed the strongest player in ALO. She defeated so many players. 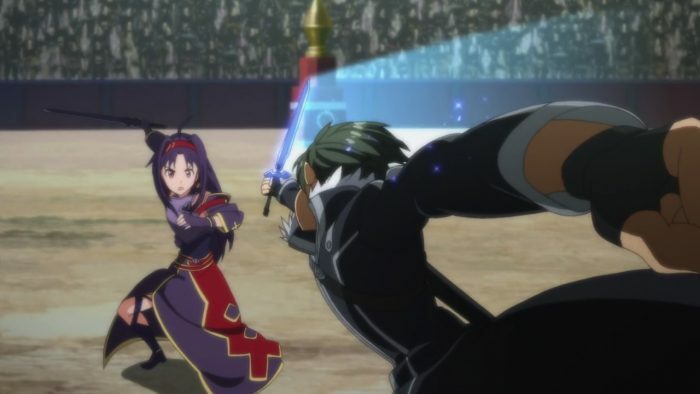 Even the great Kirito lost to her in that tournament. She’s the strongest without equal in virtual world. But her real life body is about to give up very soon. I cried. It’s been so long since the last time an anime episode managed to made me teary. The last one was CLANNAD After Story. 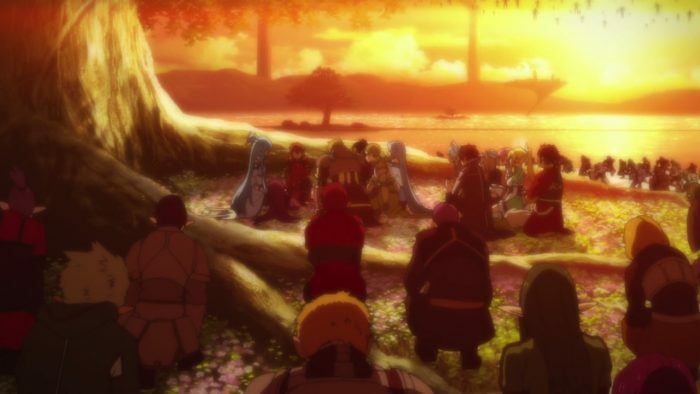 This final episode of SAO is about an extraordinary perspective of celebrating life. Here we have a grand final farewell of a real person, attended by countless other people in virtual world. And to me, as a person with great passion about technology, feels really like a great honour to life. 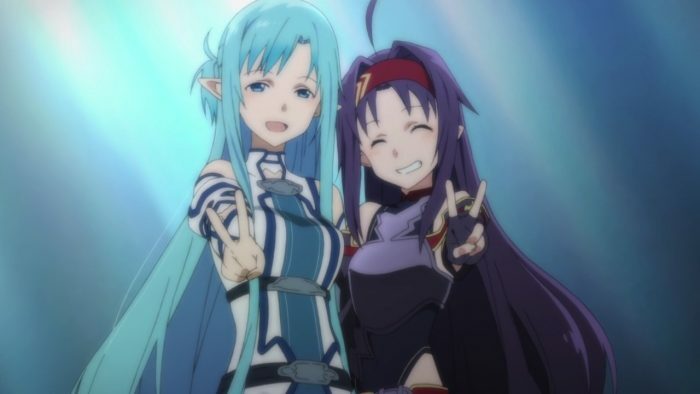 Asuna and everyone else give Yuuki the best possible final moment she could ever dreamt of. And our strongest player in ALO dies peacefully surrounded by her most loved people, in her most loved place, honoured by countless people who recognises her as a strong fighter. They really make a fantastic final episode for this second season. 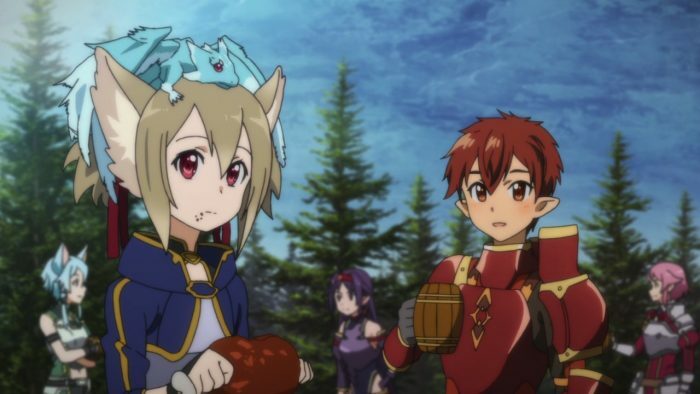 Starting from Yuuki’s memorial service, we get a bit of a story of what happens to other members of Sleeping Knights guild. At least 1 of them is now recovered and another one is getting better, which is a good thing. Thanks to Yuuki, the Medicuboid technology (one that allows Yuuki to experience ALO) now gathers sufficient data and could help countless patients in the future. Next we have small revelation that the person behind the experiment of using virtual world for medical treatment is none other than Kayaba Akihiko (creator of Aincrad) himself. 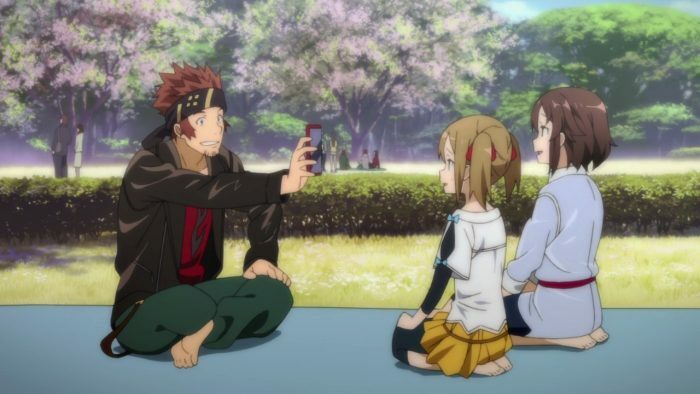 Last, we have a nice epilogue of everyone enjoying sakura flowers, in real life. 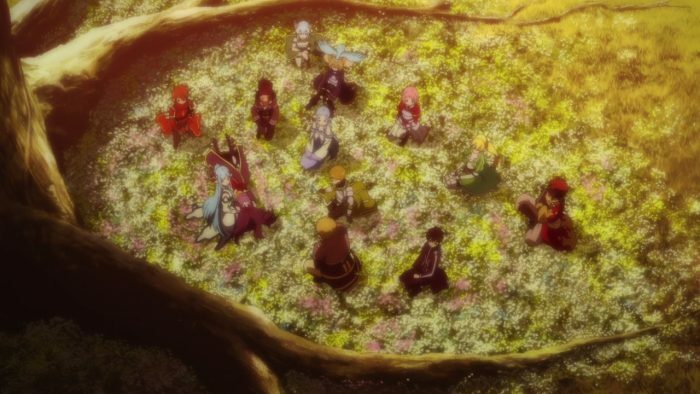 I find it a nice touch that they end this season with grand scene in virtual world, followed by a simple-but-meaningful scene in real world. An almost perfect ending. 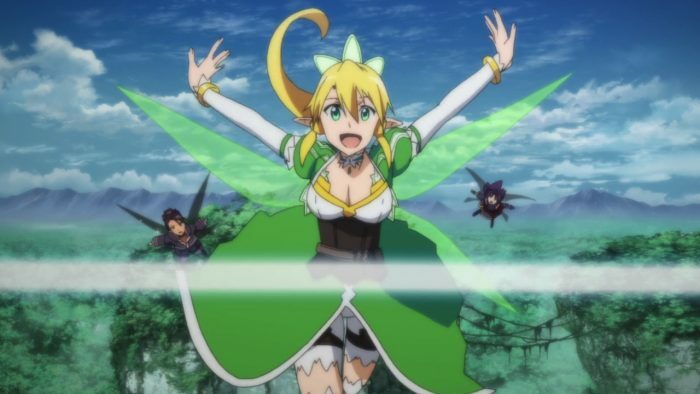 We still have open ends about possible season 3, yet we get all the closure and satisfaction feeling from a proper end of a hugely popular anime. 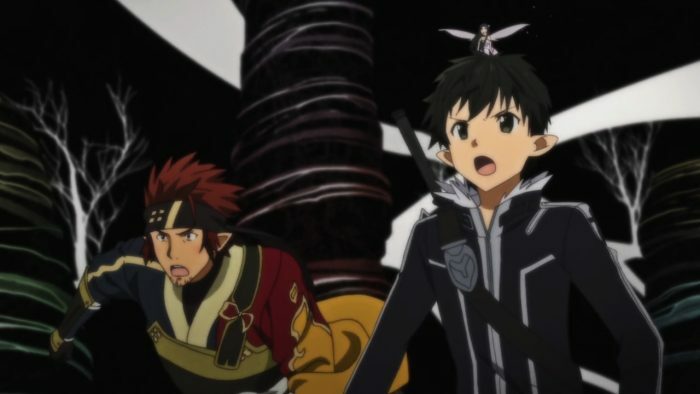 Overall, season 2 of SAO is better than what I initially imagined. 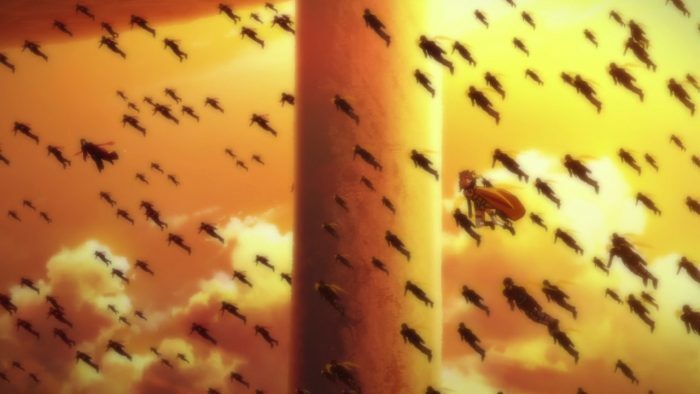 It started a bit slow with GGO arc and I still believed they could deliver the story in less episodes. 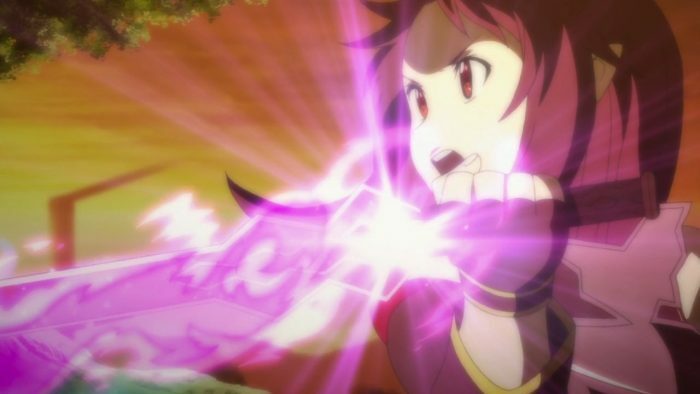 Then the story returned to the colorful world of ALO with that mini-arc to get Calibur sword. 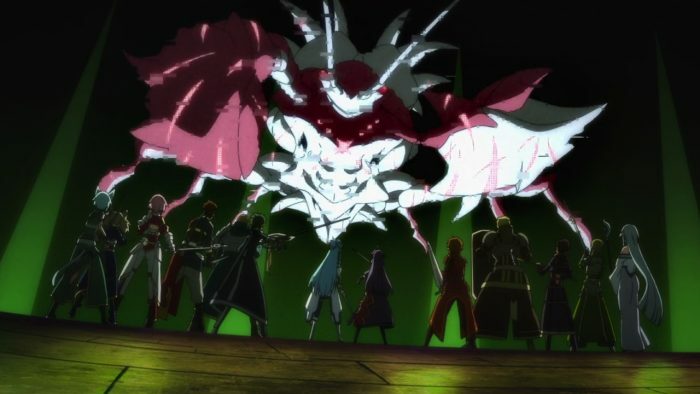 Then it ends with Mother’s Rosary arc which finally bring us to know the real human character of Asuna a little bit more, introduces us to the strongest player in ALO world and finally ends the season with one of the most wonderful scenes I’ve seen in anime. What more could we ask for?